The Specialist will play an essential role in growing market share for CIBC Investor’s Edge. Collaboration and Specialization – Collaborate with Asset Specialist team in delivery of timely and accurate information for self-directed investing offer and provide subject matter expertise on self-directed investment industry. You are an expert with knowledge of company’s key competitors, products and services and you also, be able to identify client profiles and trends in the self-directed industry and the opportunities of growth for CIBC within this space. Work with Asset Specialist team and Partners such as PCs and DVPs to develop plan for regional and district level to support growth of self-directed client segment through Investor’s Edge value proposition. 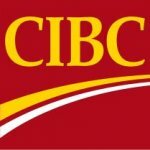 The goal is to increase market share among the big 6 banks in self-directed brokerage and grow CIBC share of wallet. Results Driven Leadership – Produce and deliver weekly, monthly and quarterly sales results and identify sales gaps & sales opportunities. Specialist plays an important role in identifying opportunities to increase scale within the core and managed segment. Develop and maintain current knowledge of Investor’s Edge processes, regulatory updates, policies and tools to incorporate into our virtual delivery to retail and wealth partners. Assist in delivery of educational content to retail channel with goal of increasing knowledge, improving soft skills and increasing scale. This includes conventional methods such as inbound/outbound calls, in person engagement, email delivery and new virtual delivery methods. Engagement and Communication – Work with IE product and sales teams to deliver IE mass offers and campaigns to banking centres. Specialist will work with Asset Specialists to communicate to National Sales for 120 Day Communications, content and offers. Participate in client meetings with retail and wealth partners to provide support and expertise required to acquire/retain business. Specialist will be able to assist partners negotiate pricing and benefits to win business. Demonstrate Investor’s Edge trade platform and research tools in person or virtually as required by partners and clients and participate in activities and events as required to promote the Direct Investing solution.